Fill Out the Following Form to Receive a Free Moving Estimate in Williams Lake, BC! Provided below is a room by room form that you can fill out and email to us that will give us a better idea of what you have to move, and one of our agents will be in touch with you to discuss your estimate. Please enter your personal information and enter the number of items you have for each item listed in the PDF form. Contact us or schedule an appointment at our office. For short-term and long-term storage, you can trust in our experts. We provide careful handling and excellent rates for all of your storage needs. Fill in the following details below and press send and we will get back to you soon with an estimate. LR - TV, Portable to 13in. LR - TV, to 19in. LR - TV, 32in. to 36in. LR - TV, Big Screen to 50in. LR - TV, Big Screen to 60in. 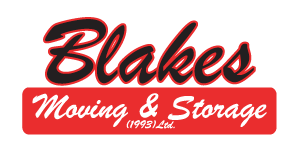 Any other information that you think Blakes Moving would need to know?